These rugged handheld units not only measure irradiance, but also have a built-in inclinometer to measure roof pitch, compass to measure roof orientation and thermometer to measure ambient air and module temperature.These unique additional features makes the Solar Survey 100 and 200R truly versatile and indispensable instruments, ensuring optimum conditions for every system you install. The 200R now features new SolarlinkTM connectivity which allows it to wirelessly give the PV150/PV210 real-time irradiance, ambient temperature and PV module temperature measurement results simultaneously to electrical tests being conducted, as required by the IEC 62446 international standard. Results can be downloaded from the PV150/PV210 into certification software. These high specification irradiance meters simply and quickly measure the sun’s irradiance, displaying the information in either W/m2 or BTU/hr-ft2, making them ideal for both solar photovoltaic and thermal applications. 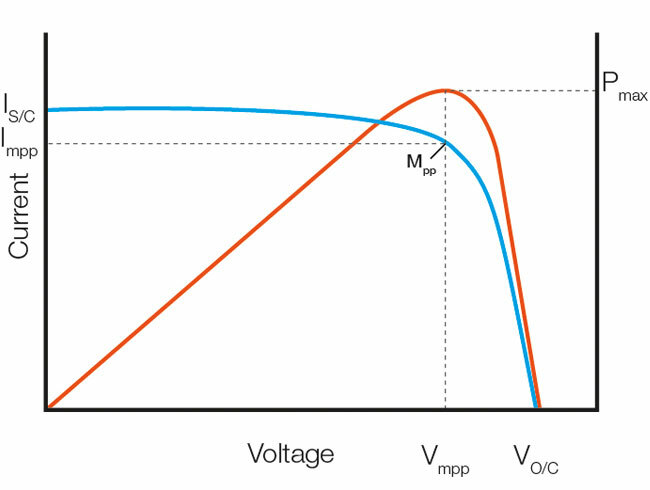 The use of a photovoltaic reference cell, provides a more representative measurement of solar energy and greater accuracy and repeatability compared to irradiance meters which use simple photo diode detectors. 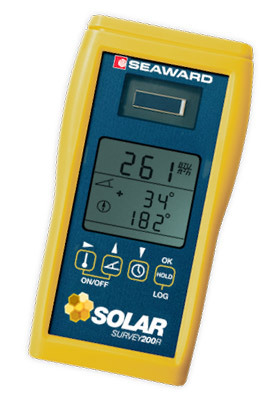 The Solar Survey 100 and 200R both incorporate a display hold feature, which enables the user to easily capture readings in difficult locations. Solarlink™ connectivity enables irradiance to be displayed and for irradiance, module and ambient temperature from the Solar Survey 200R to be recorded with the PV150/PV210 (available separately) in real time as electrical tests are conducted. View I-V power curves in real time using the PVMobile app, PV210 and Solar Survey 200R. Irradiance data is fed live from the 200R to the PV210 during the trace itself, so measurements can be viewed in real time.